Richard took up his position on 1 April 2012. He has 20 years experience specialising in Management Consultancy as an advisory partner in KPMG. He is a Chartered Accountant with wide business experience acting for a range of clients, initially in the retail sector, and subsequently for major public sector clients including Regional Development Agencies (RDAs), universities, local government and related agencies. Based in Birmingham, he led the rapid national development of KPMG’s advisory services to the public sector. These services include IT, performance improvement, financial/project feasibility, procurement/outsourcing and regeneration policy. His primary area of advice has been transactions between the public and private sector including joint ventures, outsourcing and co-financing of service delivery and development. Richard’s market leadership role was economic development, leading the firm’s work with RDAs, English Partnerships and supporting organisations. Through this role, he developed a wide knowledge of the policy and implementation of the government’s support for business, innovation and skills, together with physical and community development. Richard is a chairman of Hortons’ Estate, one of the largest private property companies outside London with property assets of some £200m. He is also a governor of a school in Worcestershire. 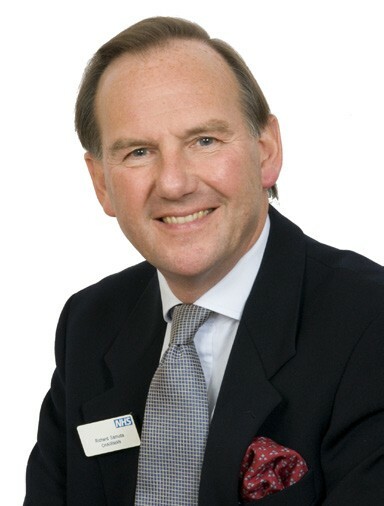 Prior to joining Sandwell and West Birmingham Hospitals NHS Trust, Richard was a non-executive director on the board of Heart of England NHS Foundation Trust, a role he held since 2007. He was also the Chairman of the Audit Committee, had responsibility for the Volunteer team and sat on the Governance and Risk committee. His responsibilities include leadership of the Board, ensuring Board effectiveness in all aspects of its role and setting its agenda, ensuring provision of accurate, timely and clear information to directors, regular evaluation of the Board’s performance (its committees and individual directors), ensuring constructive relationships between executive and non-executive directors, ensuring effective communication with staff, patients and the public, accountable to the Board of Governors.